Most people who drink alcoholic beverages have occasionally consumed one or two drinks too many (or maybe even more than that). While the drinking part is fun, the payback comes later if you drink too much. You'll wake up with a hangover. Hangovers happen for a few different reasons, one of which is becoming dehydrated. The other reasons involve toxic stuff that's either in the drink or created in your body when your liver works overtime to get rid of the built up booze. But I'm sure you don't want a lecture right now; you just want to feel better. The good news is that drinking water will help you feel better, at least to some extent. The bad news is that it still takes some time to recover. It's difficult to say exactly how much water you need. It depends on how dehydrated you are and how severe the hangover, but it's a good idea to fill up a big cup of water and take a sip or two every few minutes. If your stomach can handle it, you can take several sips, but if you're in bad shape, gulping water might make you throw up. 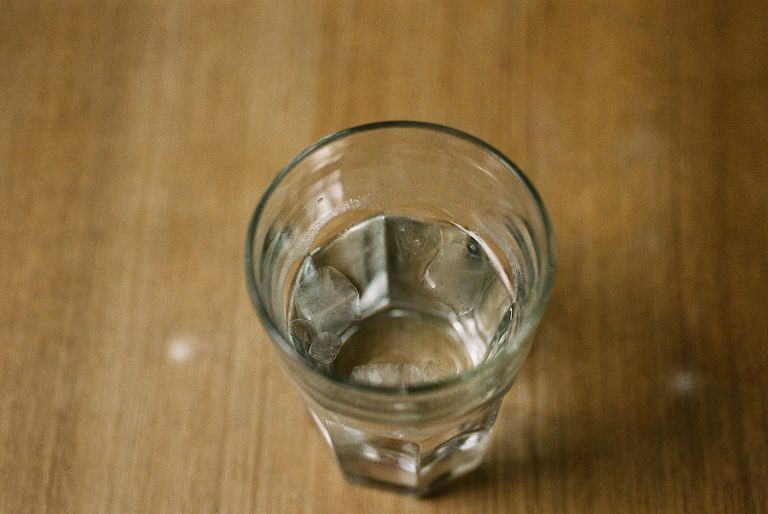 Keep sipping water all day, even after your hangover is gone. Drink plenty of water the following day as well. You don't have to drink plain water to rehydrate. Juice, herbal tea, milk, vegetable broth, sparkling water, or soft drinks are fine. If you need to perk up, drinking caffeinated beverages like coffee or black tea may help you feel a bit more energetic. Stay away from the hair of the dog remedies (drinking more alcohol while you're hungover); you'll only delay the inevitable hangover, and it might be worse than the current one. Eat a little food too. Fresh fruit is nice because it's high in fluids and will help rehydrate you. But if you don't feel up to it, try something simple like toast, an English muffin, eggs, or whatever is comforting to you. So, now that you're sick, you may be making promises to yourself and your personal deity for never ever drinking again. Good for you if you can keep that promise, but if not, try to plan ahead the next time you go out drinking with your buddies. Drink a glass of water before you hit the booze and have another one between drinks. That may slow down your alcoholic intake so you may not get as drunk, plus it will help keep you hydrated. And yes, all the extra water will have you in the restroom peeing a lot, but it's better than barfing the next day. The United Kingdom National Health Services. "Hangover Cures." Updated October 9, 2014.